Arthur Chu is back at the first podium tonight. 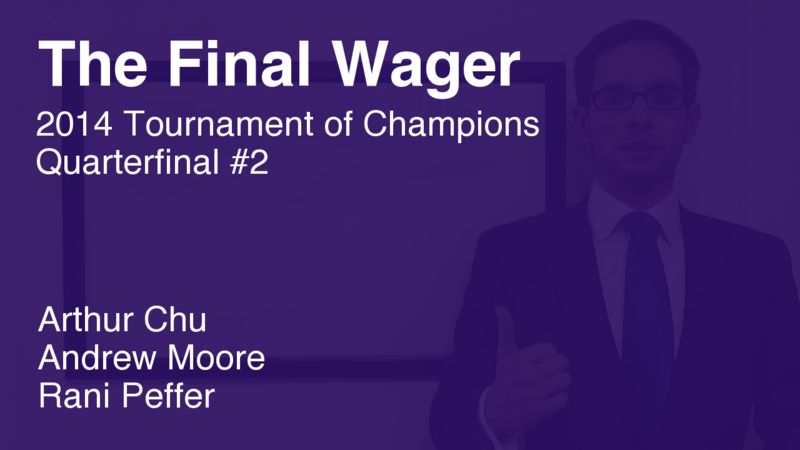 Will the Forrest Bounce work against Andrew Moore and Rani Peffer? Check out my preview of the game. Yes, it will – and I’m left with very little work. 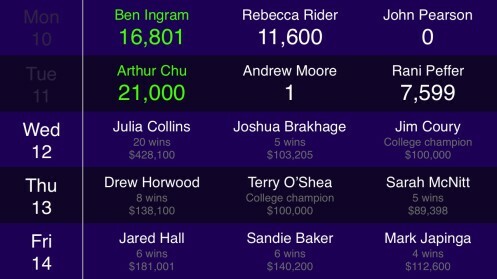 Special thanks to Andy Saunders of The Jeopardy! Fan for confirming the pre-Final totals for me so that I could put this together in advance. 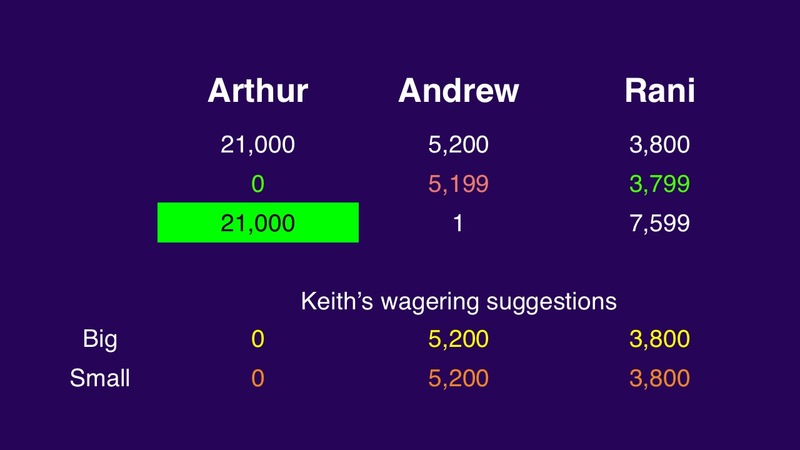 Arthur’s good with his total; Andrew and Rani are not (even 10,400 isn’t a great score, historically, for the wild card). We’ll see Arthur in the semifinals, but what about Rani? She’s in the second spot for the time being, with Rebecca Rider in first. I don’t like it at all. I LOVE IT!!!!!!!! You may have covered this, but are the players seeded for the quarterfinal matches? That is, do the producers take steps to make sure Arthur Chu, Julie Collins, and Ben Ingram don’t get drawn for the same QF? No one knows how the producers make their decisions. The only rule seems to be you can’t play someone from your own quarterfinal in the semis.